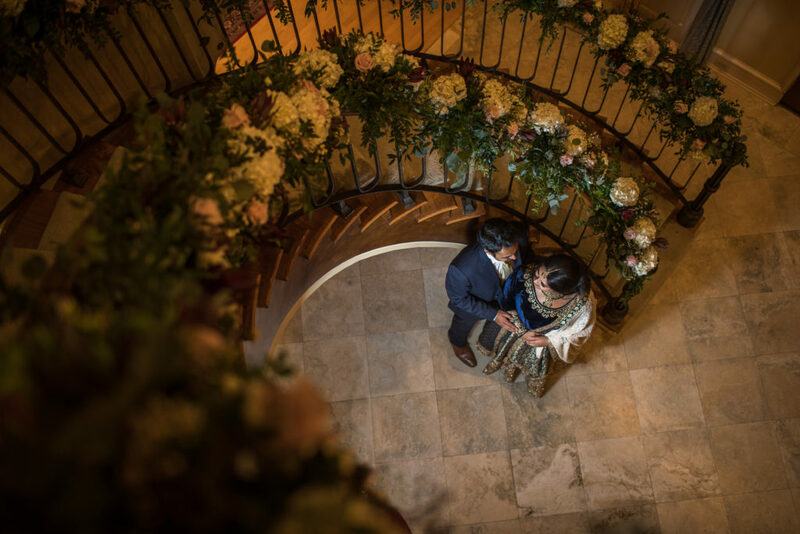 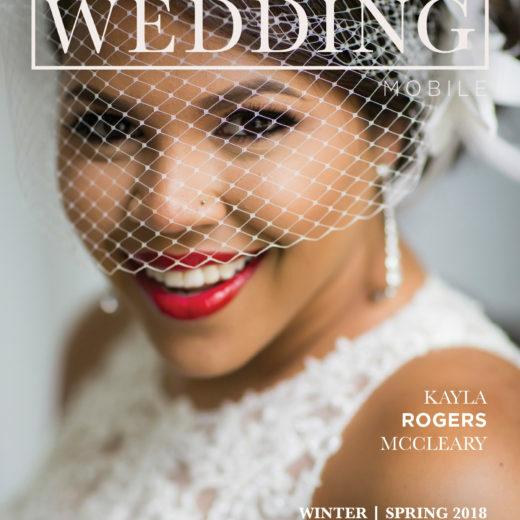 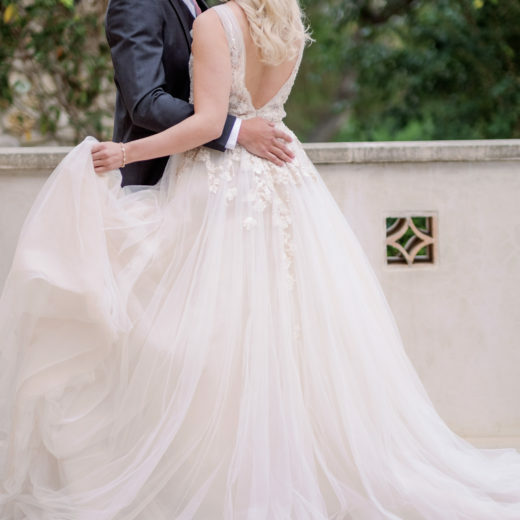 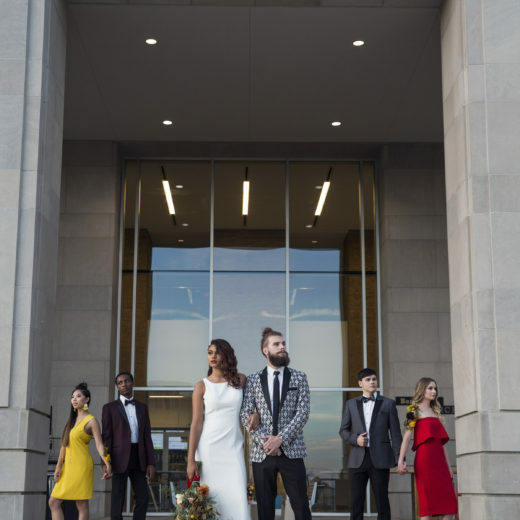 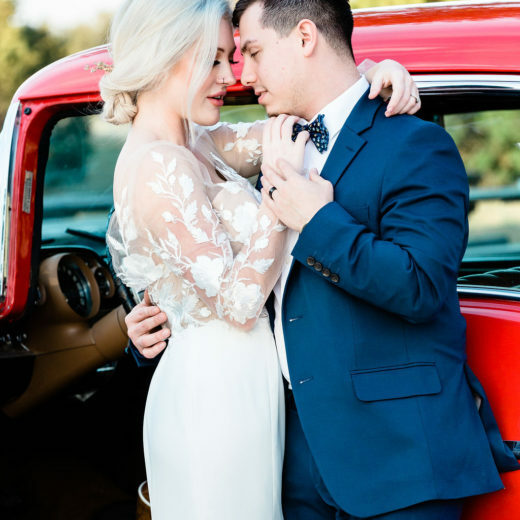 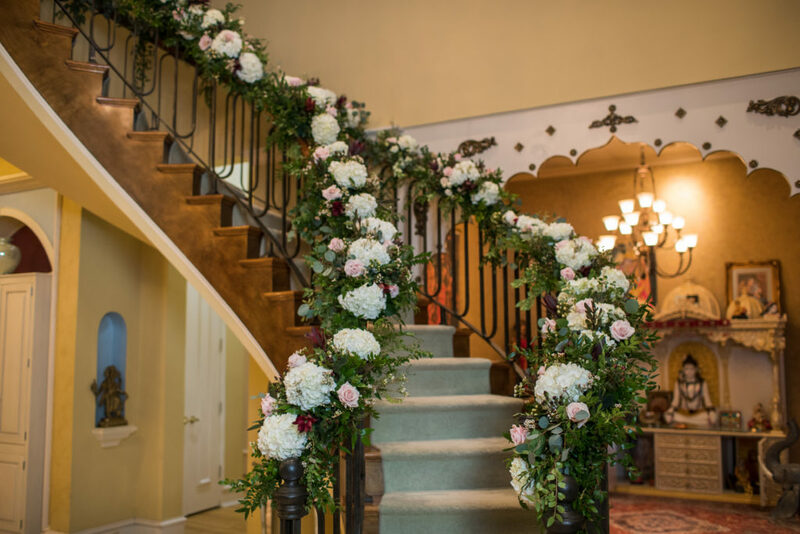 We loved everything about these engagement party photos – from the lush florals cascading down the incredible double staircase and the bursting with color gowns to the oh-so-lovely bride and handsome groom. 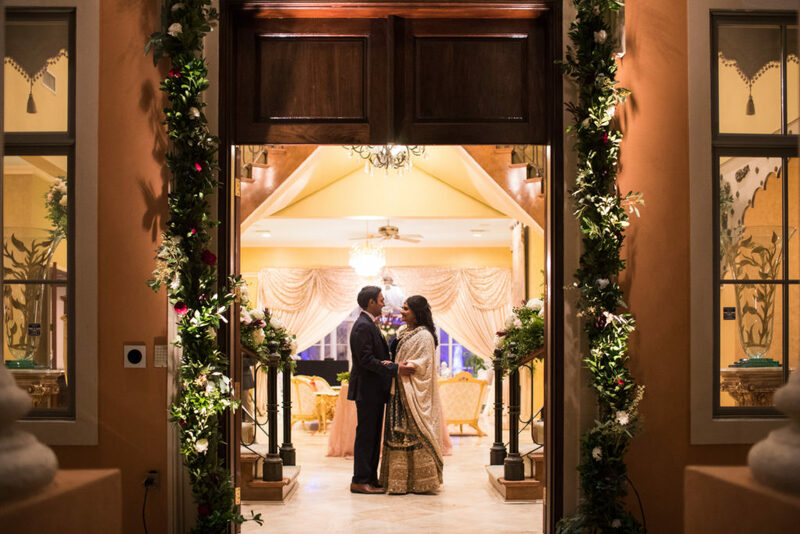 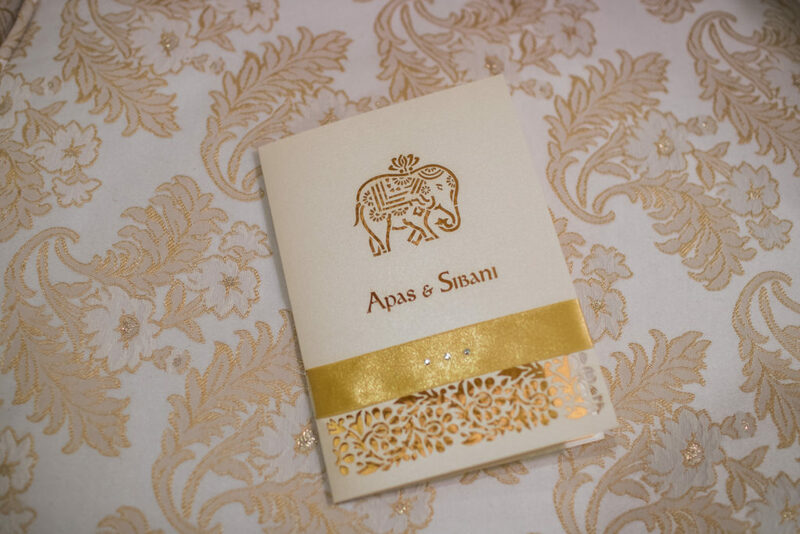 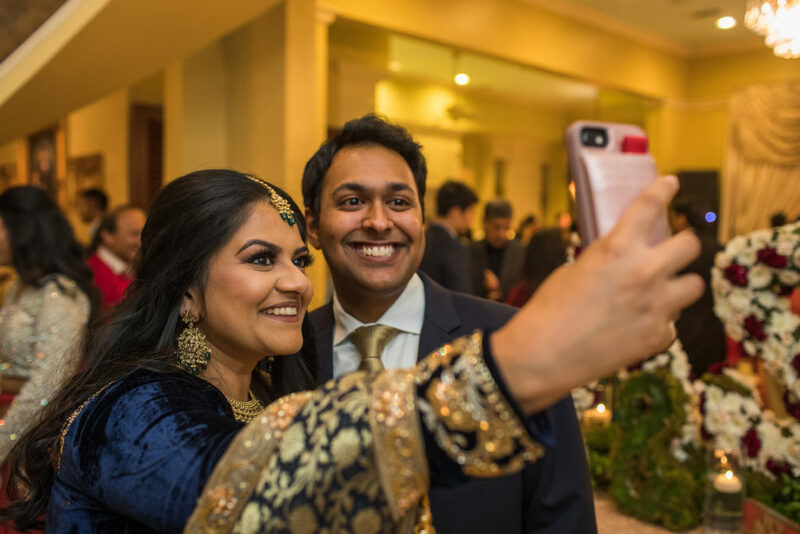 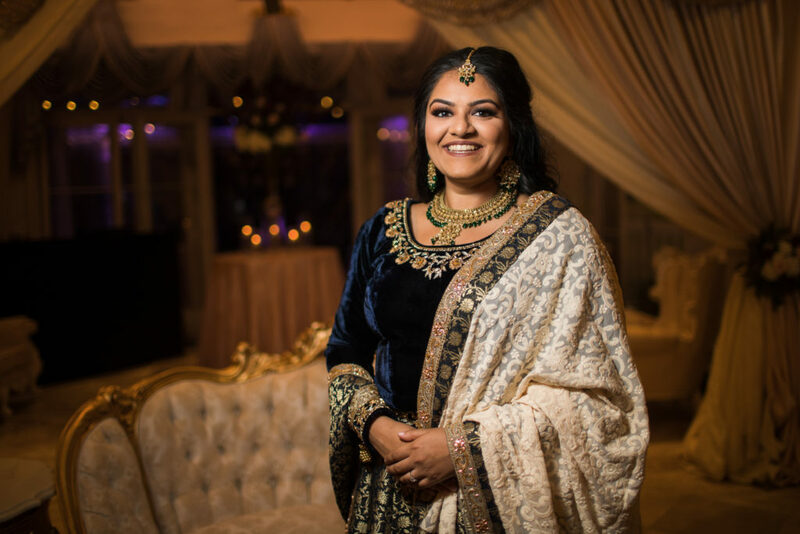 The groom’s parents hosted the special event for bride-to-be Sibani Mangal and her groom, Apas Aggarwal in his beautiful home in Ridgeland, Mississippi. 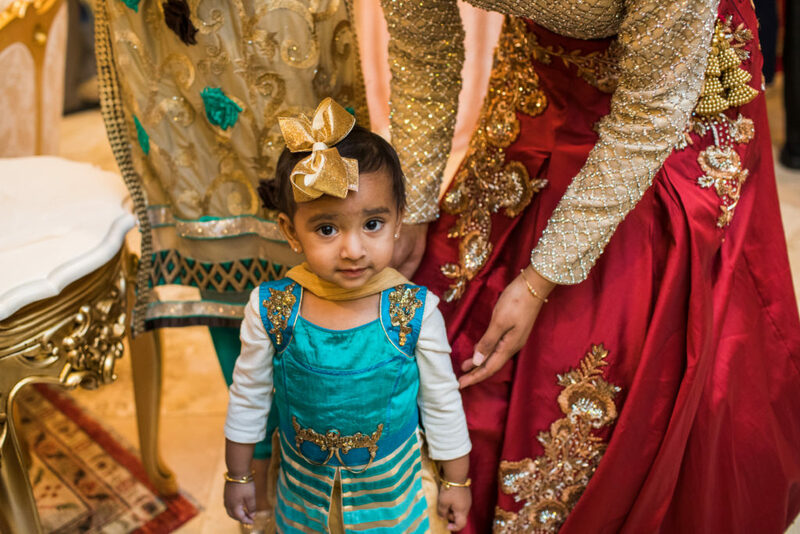 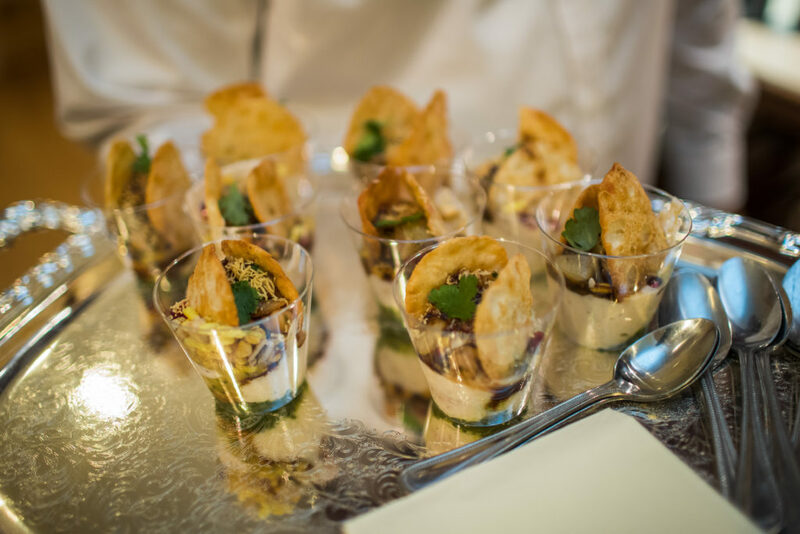 Guests at the party were treated to a sumptuous spread from Taste of India. 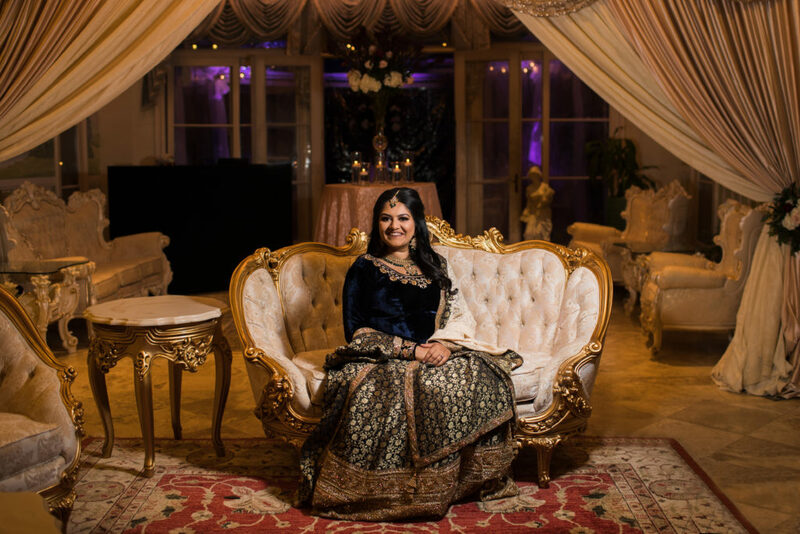 Even with all the over-the-top floral design, Sibani’s gown, designed by Farzana Manekia of Le Trend Boutique was a showstopper in shades of navy blue with champagne and gold metallic details. 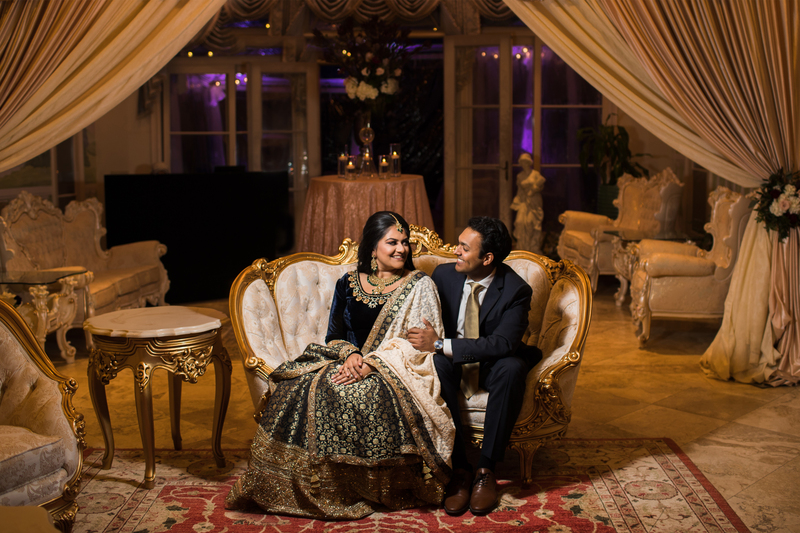 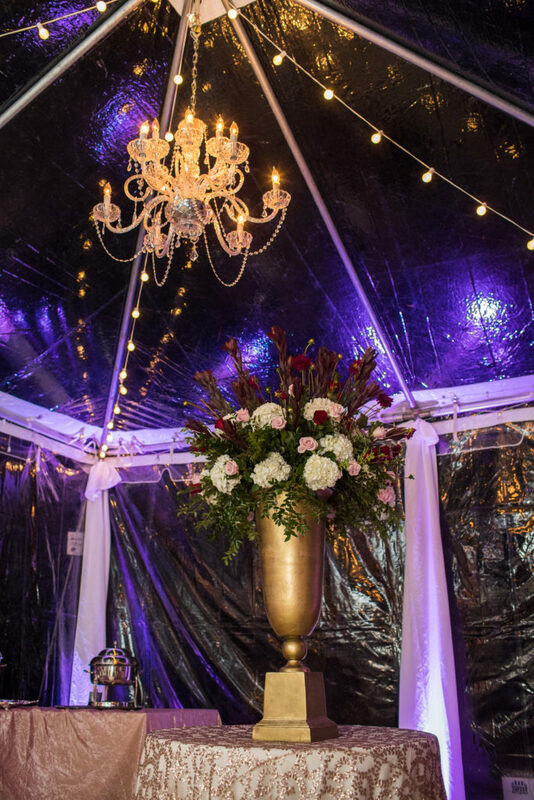 We simply can’t wait to see all the amazing details they have planned for their upcoming wedding!